After just enough rain to darken a new layer of mulch, this showy drift of Chionodoxa welcomes spring on this April Fools Day. 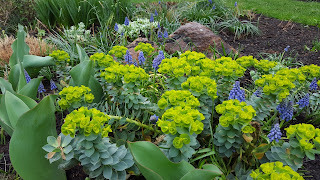 On the sunny side of the garden, Donkeytail spurge aka Euphorbia myrsinites, mixes with Grape hyacinth. 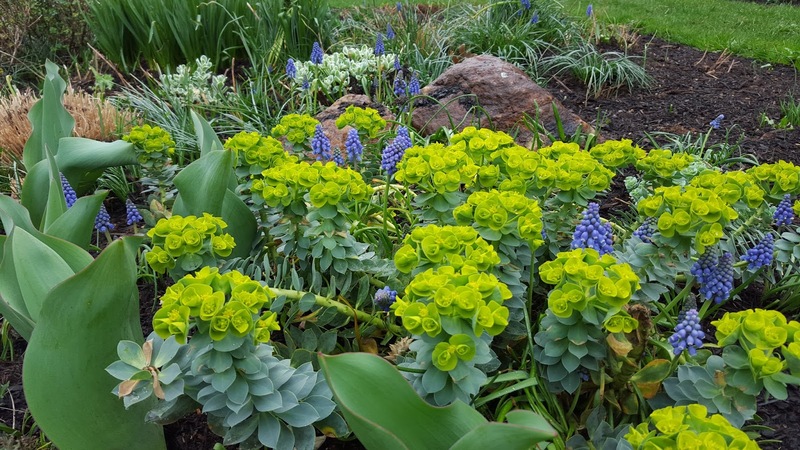 In the next weeks, most of the perennials will awaken from winter dormancy. 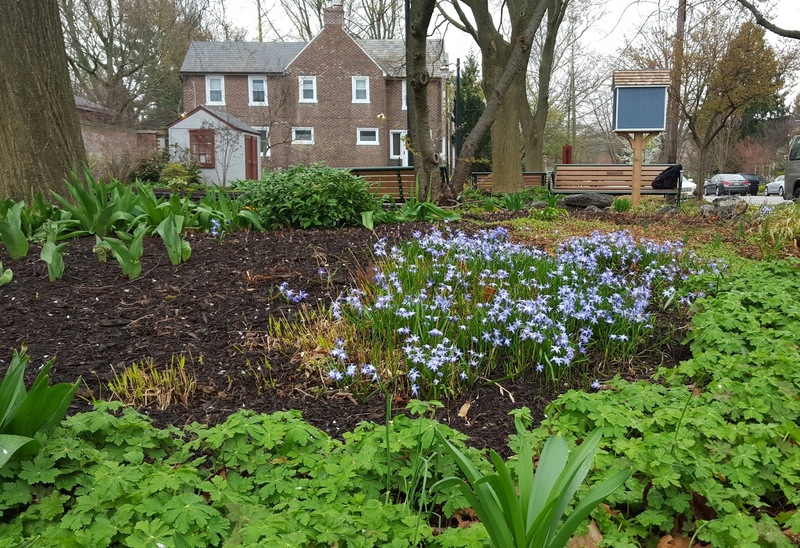 Come visit and see the progress!